You will want to do a military grade format/wipe/erase/delete/shred of your drive. A free tool I can recommend for that is Disk Wipe at http://www.diskwipe.org. 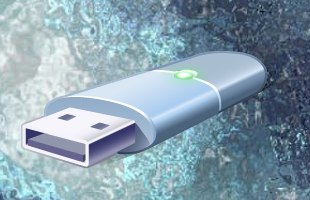 Have you ever misplaced your flash drive/pen drive with some sensitive data on it (giving you sleepless nights)? You may be worried because of the sensitive nature of the file(s) on the drive. If that’s the case then it’s too late if the drive finds its way into the wrong hands. You can’t change the past but you can do something now for the future. What you need to do is to encrypt your drives with sensitive data. You can use the free BitLocker that comes with windows (7/8/10 pro, not the home version) to encrypt your drives. Or just download and install VeraCrypt (https://veracrypt.codeplex.com) for the same purpose. VeraCrypt is free and powerful.